This Mother’s Day, help us honor and celebrate the strength of mothers, by helping moms all over the world when they need it most. And throughout World Immunization Week, when you share stories about mothers vaccinating their children using the hashtag #VaccinesWork, the Bill & Melinda Gates Foundation will give $1 to UNICEF, up to $1 million! A little ouch. A big lifesaver. See how baby Tate’s first vaccination went! And when you like or share posts using the hashtag #VaccinesWork like this one in April, the Bill & Melinda Gates Foundation will give $1 to UNICEF, up to $1 million! A little ouch. A big lifesaver. See how baby Tate’s first vaccination went! And when you like or share posts using the hashtag #VaccinesWork like this one in April, the Bill & Melinda Gates Foundation will give $1 to UNICEF, up to $1 million! Parents, vaccinators, volunteers and kids can all play vital roles in a vaccine’s journey. It's World Immunization Week! Please join me in celebrating moms around the world who will go to any lengths to make sure their children are vaccinated. For every like or share of posts using the hashtag #VaccinesWork in April, the Bill & Melinda Gates Foundation will give $1 to UNICEF, up to $1 million! It's World Immunization Week! Please join me in celebrating moms around the world who will go to any lengths to make sure their children are vaccinated. For every like or share of posts using the hashtag #VaccinesWork in April, the Bill & Melinda Gates Foundation will give $1 to UNICEF, up to $1 million! It's #WorldImmunizationWeek! 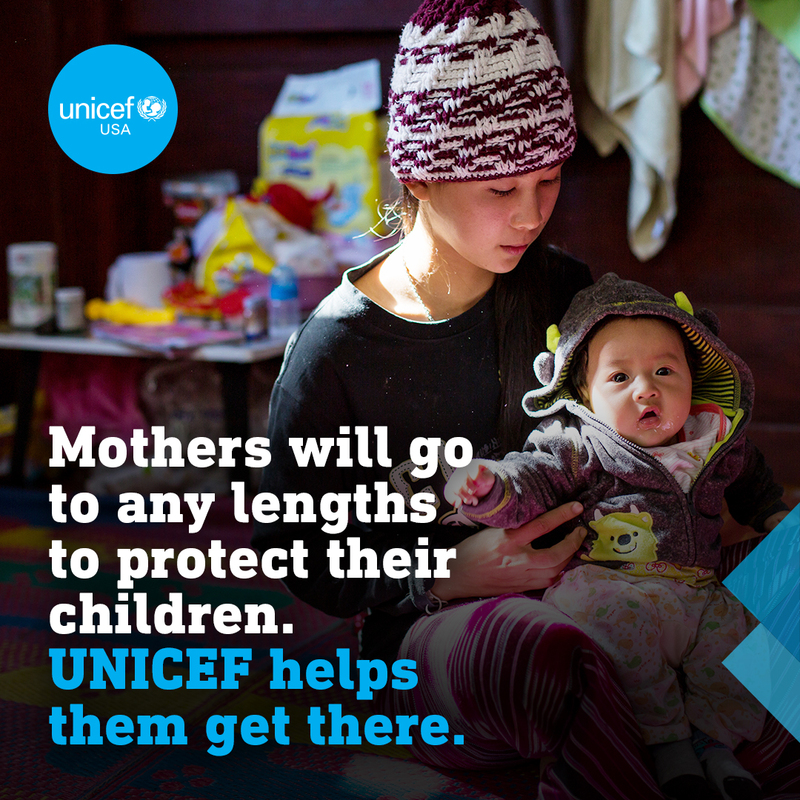 Please join @UNICEFUSA and I in celebrating moms around the world who do whatever it takes to vaccinate their children. For every like or RT of posts using the hashtag #VaccinesWork in April, @gatesfoundation will give $1 to UNICEF, up to $1 million! It's #WorldImmunizationWeek! Please join @UNICEFUSA and I in celebrating moms around the world who do whatever it takes to vaccinate their children. For every like or RT of posts using the hashtag #VaccinesWork in April, @gatesfoundation will give $1 to UNICEF, up to $1 million! It's #WorldImmunizationWeek! Please join @UNICEFUSA and I in celebrating moms around the world who do whatever it takes to vaccinate their children. 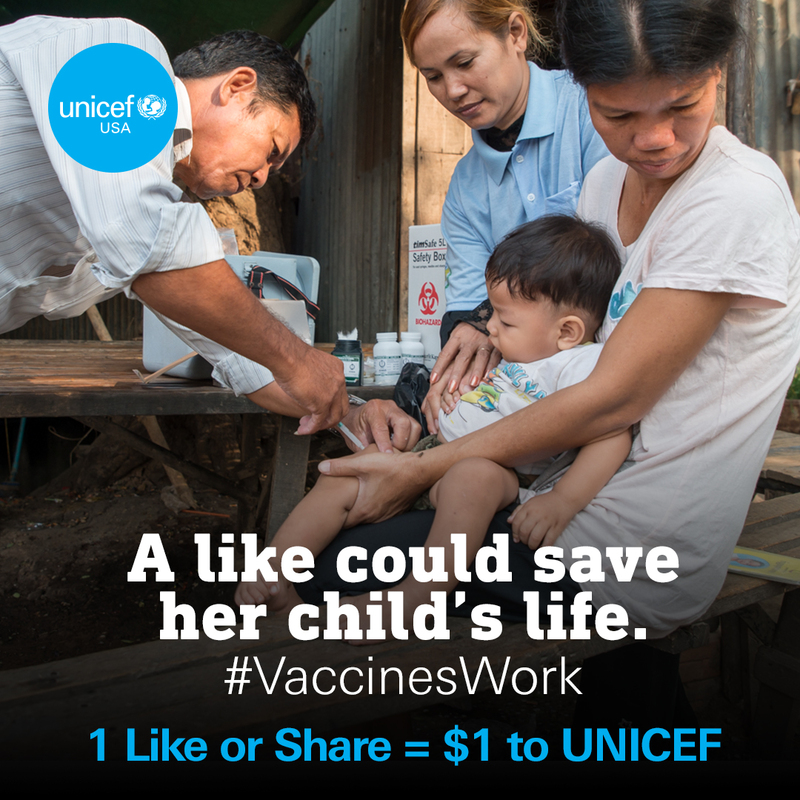 For every like on posts using the hashtag #VaccinesWork in April, @gatesfoundation will give $1 to @unicef, up to $1 million! This #MothersDay, I'm honoring the strength of mothers everywhere with a donation to UNICEF, to help moms all over the world when they need it most, follow the link in my bio to join me! Posting about your Mom on Mother's Day? Add extra purpose with a donation to UNICEF. Download the instructions here. Tropical Cyclone Idai has battered Mozambique, Malawi and Zimbabwe, devastating already vulnerable populations with severe damage and flooding. Help UNICEF raise funds to provide children and their families with safe drinking water, health supplies and emergency shelter. Mobile health teams offer care for children in need and support for mothers who fear for their families’ future after losing everything. 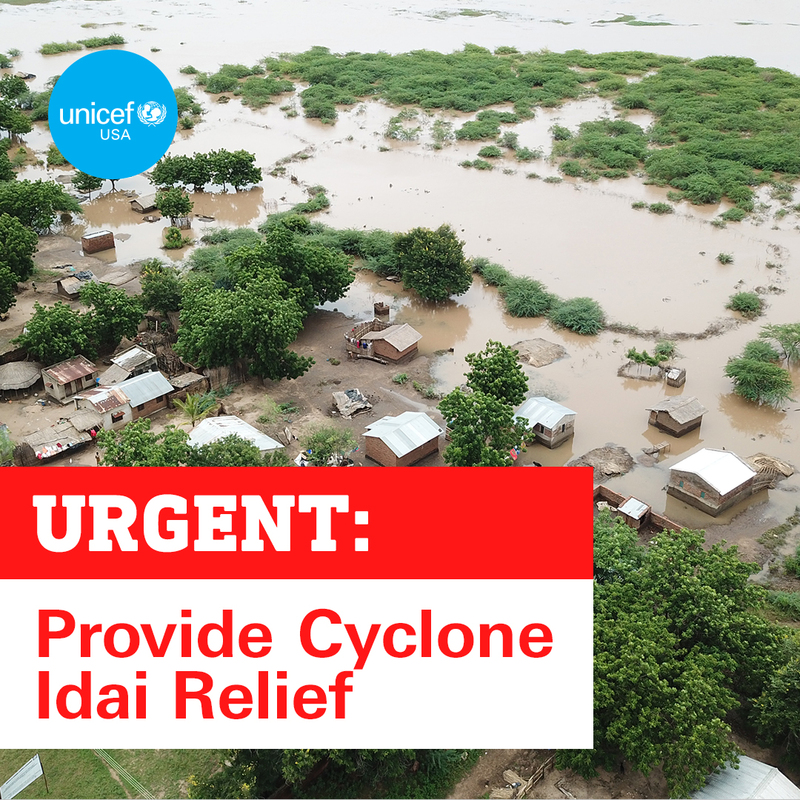 #CycloneIdai has devastated already vulnerable populations with severe damage & flooding. Across Mozambique, Malawi and Zimbabwe, Cyclone Idai has devastated already vulnerable populations with severe damage and flooding. UNICEF is on the ground, working to provide children and families with safe drinking water, health supplies, emergency shelter and more. You can make a difference, please follow the link in my bio to make a donation.